As I’m lounging on the sofa in the family room watching my husband decorate the cakes that he baked for both our moms on Mother’s Day, thoughts about how he plans the whole process are running through my head. While my husband wasn’t enthused about the interruption, I was busy asking him multiple questions regarding how to forecast future demand, how to manage quality and quantity, and finally what inventory method is used by businesses that produce wedding cakes. 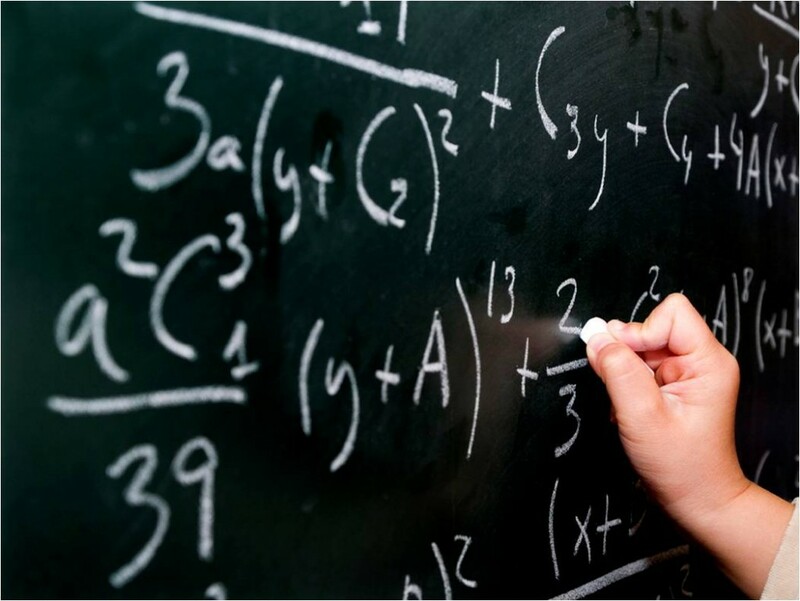 Forecasting is a critical aspect of the business to effectively manage overhead costs, ingredient inventories and most importantly, volume projections to meet demand while maintaining a profitable business. To achieve desired profitability, the business should deliver a wide variety of designs at competitive prices. 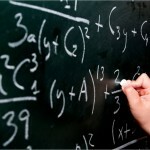 In class, I had learned about five quantitative forecasting methods. The simplest method to forecast how many wedding cakes will be produced next month is looking back at the last month’s production quantity. Another forecasting model is using the moving averages forecast method. This method uses an average of the most recent periods of data to predict of how many wedding cakes need to be produced next period. For example, the bakery may use a 3-month moving average by adding the last 3-month production of wedding cakes and dividing by 3 months. However, to use this method, we would assume that the market for wedding cake demands is quite stable. 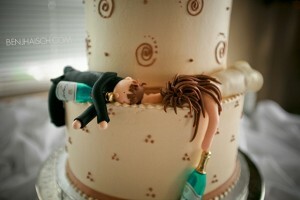 Next important aspect for a Wedding Cake business is how to efficiently manage the quantity and quality of the cakes. 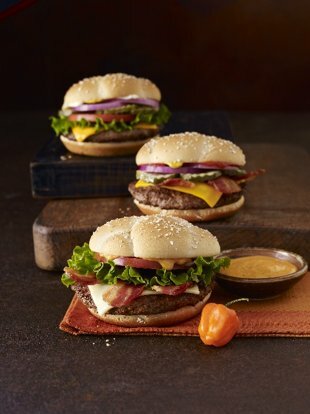 Higher quality of ingredients used during production will lead to a better reputation for the business and create higher customer satisfaction, leading to repeat customers. Moreover, business would save ingredient costs by purchasing larger volumes. This reminded me of what I had recently learned in my class about product focus. Some bakery businesses focus on producing high volumes and low variety. For example, one business can focus on a niche market and produce only wedding cakes that will deliver a high volume but limited designs. But such a business will need to be highly completive in the market in order to be successful. On the other hand, another bakery might produce low volume of cakes, but cater to a much broader customer base such as birthdays, graduations, anniversaries, Bar Mitzvahs, etc. Managing inventory of raw ingredients as well as finished goods is another critical aspect that has to be closely managed. 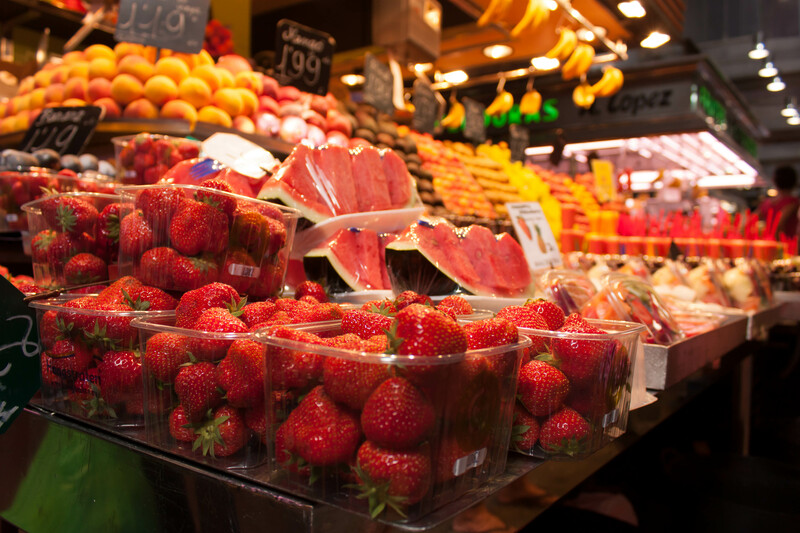 The perishable nature of the products makes it very important to effectively manage inventory of seasonal products, while maintaining stocks for rush orders. Also, inventory management is crucial in maintaining business profitability by reducing waste of both raw ingredients and expired finished products. Although I learned a great deal regarding the wedding cake industry from my husband, I”m still left with a few questions: What is the best way to forecast wedding cakes? What process strategies should be used by bakeries? Would it be more profitable to use process focus or mass customization strategy? If Time Heals Wounds, Why Do We Still Use a 93-Year Old Band-aid? That’s right! They were invented in 1920, which in turn makes the Band-Aid 93 years-old. They were created by Earle Dickinson and manufactured by Johnson & Johnson. What is interesting to look at is the innovation of the Band-Aid over its long life span. 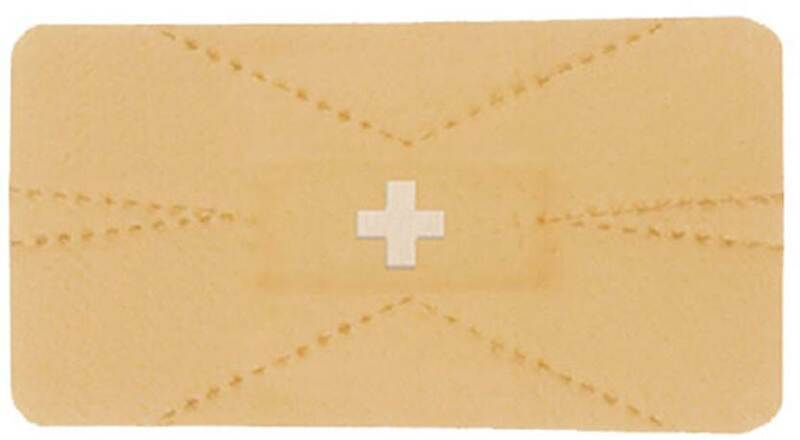 We have Band-Aids that are for large wounds, ones that wrap around, others with built in antiseptic on the gauze pad, and even little circle ones for small cuts. The product itself has undergone changes, but understandably, the process remains the same, attaching a gauze pad to a piece of tape (later a vinyl adhesive) and covering it in crinoline to keep it sterile. This process is done regardless of shape and size, and for the antiseptic ones, there is one extra step in the manufacturing process to add the disinfectant. Enter Tsai Cheng-Yu and Hsu Hao-Ming. They have created the new Band-Aid, the AmoeBand. It claims to be more comfortable thanks to it being adjustable with perforated edges as well as a pH sensitive gauze pad which will tell the consumer whether or not the wound is infected. This design is a drastic change from the original that is mass produced. How could a company compete with this product, if it’s popular with consumers, if they have to change their whole process design of manufacturing? Think of how much money would have to be spent either creating new manufacturing facilities or altering current ones. Even further, this process would have to be planned, designed, tested, and eventually perfected. The AmoeBAND adds the necessity to purchase pH sensitive gauze and add a manufacturing step to ensure the perforations. It is easy to understand from labs in class that a process is never perfect and differs. While each AmoeBand manufacturer may believe they have the fastest process, another may have a cheaper process. There are a lot of factors that will go into actual implementation of this product, if it were to become popular amongst consumers. However, before all that, there will be the need to convince upper management of companies that this is the product of the future, a product that will reap larger reward, and could be easier to manufacture. That will take research, development, and sturdy planning. 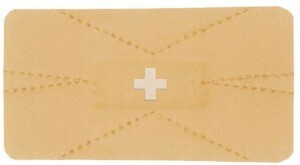 Band-Aids have not changed much since the 1920’s, so this could revolutionize the industry and push forward innovation. Do you think a product like this could be produced by companies to net a positive gain? Would the AmoeBand even catch on with consumers? As management students start to think about their career paths, especially for those graduating soon, one of the things on their minds is how they will differentiate themselves in the job market. Better yet, the opportunists’ who will be brave enough to tackle competitive markets, what kind of unfair advantages could these entrepreneurs come up with in their businesses? Well, one suggestion is how you actually structure the company through your business model and management style. This will determine how successful you will become in the long run, because the people you hire will indeed be the backbone of the company. 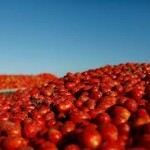 Morning Star’s founder, Chris Rufer has built a tomato processing empire that is like no other business model many have never heard of until now. He calls it a “bossless” model, which consists of no managers, no titles, so no one to report to, making everyone have mutual accountability of their work. They set their own goals and meet them, creating an extreme level of achievement. 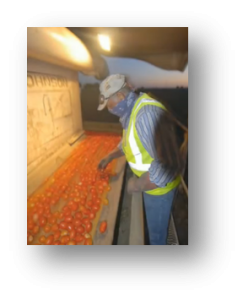 When everyone having a high degree of accountability, the company strives; therefore you can focus in on the company’s core competency, in this case, the tomato process. 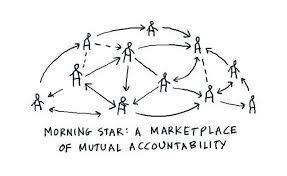 In the video, Morning Star demonstrates their process from start to finish, and we can see the dedication from their employees; they take pride in their work every time. It shows how workers evaluate every single tomato for quality, before going on to the next process. Innovation is also encouraged within the organization through everyone’s perspective of how to be more efficient in the process. Consequently, when you have that amount of freedom in the workplace you can perfect a higher level of quality in your products and services, resulting in a greater profit margin or penetrating a larger market in the end. Why? There is no pressure of doing the job in just an autocratic way, unlike with the red bead Deming’s experiment; where there was no other approach besides the way the boss wanted it to be done, which is impractical in today’s advanced technological age. Rufer says that this model of doing business is “Quite good, high-performing people love it here, and they flourish,” and it is their competitive advantage in the market. So why don’t more companies follow this model? With traditional models becoming obsolete, our generation needs to figure out other ways to conduct business, in order to distinguish ourselves from the rest. This method of organizational structure is not fit for all businesses, but it is certainly a new and inventive system of increasing productivity, quality and overall well-being in the organization. There is a saying that people don’t necessarily quit their jobs, but actually quit on their bosses. So, what if you worked at a company where there was no boss to quit on, do you think you would be happier? And therefore, be more productive, and result in products and services having better quality that could be beneficial to everyone?